Save money. Save hours of your valuable time. Get peace of mind. Automatically track all your drives. Set it and forget it. Connect your bank and credit cards and keep track of your expenses. Keep better personal and business records. IRS Compliant mileage log. 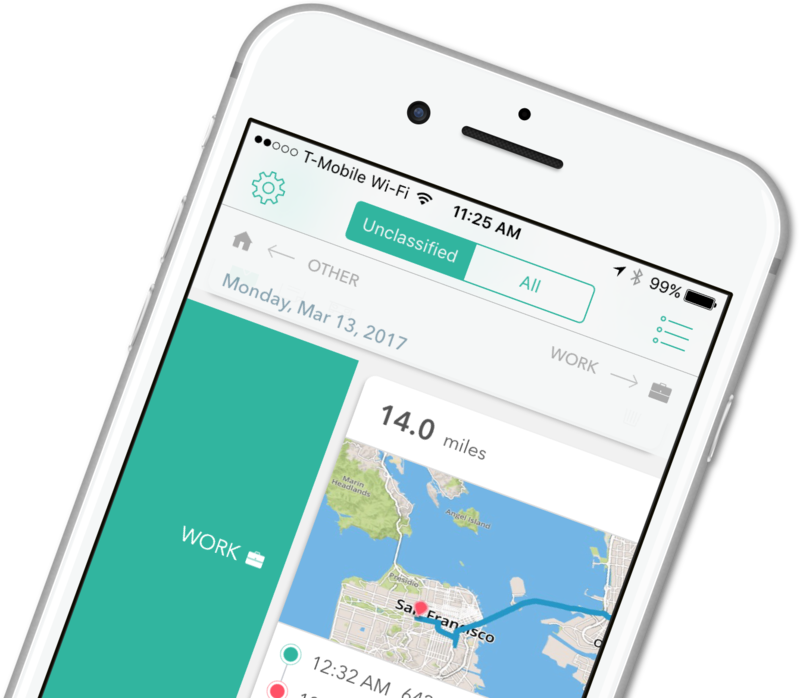 Automatically classify your trips based on your schedule. Pays for itself after 1 big trip a month. Easy & simple pricing. No surprises. No hidden fees. ✓ Many more automated features! Can I use Everlance without having to upgrade to Premium? If you don’t upgrade you can continue using Everlance on our free plan (with limited Automatic Trip Detection), after which you will no longer have access to Premium features. You will ALWAYS have access to your data and be able to manually record trips, receipts and transactions. Can I use Everlance Premium for my company or small business? Can I cancel Everlance Premium at anytime? Since we offer a steep discount for prepaying for the Annual plan, all sales of the Everlance Premium Annual Plan are final. You can set the subscription to cancel for the next billing period at anytime. If you are still unsure after the Premium Trial, we recommend subscribing to the Monthly Plan until you are sure Everlance Premium is a service for you. Is there an Everlance Premium trial? Yes, every new user starts on the Everlance Premium trial. This enables you to evaluate if our Premium service is for you. If you choose not to upgrade to Everlance Premium after the trial has ended, you will then start on our free plan, where you have access to your data (including exports) and be able to manually record trips, receipts and transactions.